The Cassandra follows a woman who goes to work in a top secret research facility during WWII, only to be tormented by visions of what the mission will mean for humankind. Mildred Groves is an unusual young woman. Gifted and cursed with the ability to see the future, Mildred runs away from home to take a secretary position at the Hanford Research Center in the early 1940s. Hanford, a massive construction camp on the banks of the Columbia River in remote South Central Washington, exists to test and manufacture a mysterious product that will aid the war effort. Only the top generals and scientists know that this product is processed plutonium, for use in the first atomic bombs. Mildred is delighted, at first, to be part of something larger than herself after a lifetime spent as an outsider. But her new life takes a dark turn when she starts to have prophetic dreams about what will become of humankind if the project is successful. As the men she works for come closer to achieving their goals, her visions intensify to a nightmarish pitch, and she eventually risks everything to question those in power, putting her own physical and mental health in jeopardy. Inspired by the classic Greek myth, this 20th century reimagining of Cassandra's story is based on a real WWII compound that the author researched meticulously. 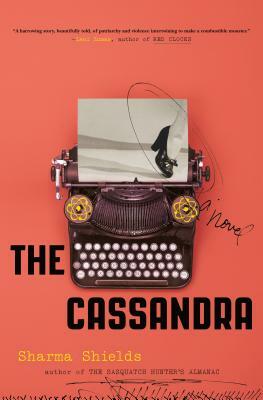 A timely novel about patriarchy and militancy, The Cassandra uses both legend and history to look deep into man's capacity for destruction, and the resolve and compassion it takes to challenge the powerful. happens when warnings go unheeded." --The Millions "Most-Anticipated: The Great First-Half 2019 Book Preview"